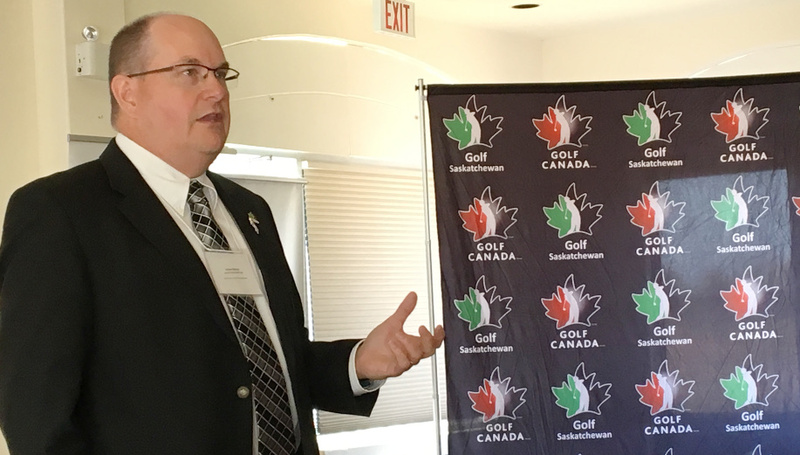 Estevan's Brian Fitzpatrick is using golf to raise money for Kidsport. An Estevan man is hoping to tee off 90 times June 22 while raising money for a worthy cause. Brian Fitzpatrick, a member at the TS&M Woodlawn Golf Club is using one of the longest days of the year to play as much golf as he can while raising funds to get kids into sports that potentially don’t have the funds to do so. Fitzpatrick explains more. “I am going to play from as early as I can see in the morning until I can’t see at night nonstop. I am going to try and get 90 holes in. I am raising money on gofundme for Kidsport Saskatchewan,” he said. The official longest day of the year is June 21, but the Woodlawn is hosting a tournament that day, so the course was unavailable. Fitzpatrick said the following day is the next best thing and he will battle the elements and play through any less than ideal weather conditions. Fitzpatrick said he has a goal of raising $1,500 that will hopefully help some kids get involved in a game they love. “I chose Kidpsort, it’s a charity I really believe in. The ability for kids to play sports is everything. With all the sports they help with including golf, for kids that are less fortunate I feel this is a really good idea,” he said. He is currently at $190 raised on the gofundme page. Fitzpatrick expects the donations to pick up once the Woodlawn opens for the season and he can help spread the word about the event. He also said if anyone else wants to conduct a similar fundraiser at their club to reach out to him via email at bfitzy306@gmail.com. He said golf is a great way to be active and raise awareness for the Kidsport organization.